You can click on the image of a map to view its details. 1948.10 CFS Poor Ex-library. Cover scuffed and slightly torn at edges, spine split, library details attached to inside cover. Map in poor condition, reasonably worn at folds, stamped with library markings round edges, and looking like it has been out in the rain! Sound overall, however. CFS Good Cover slightly knocked and worn at edges, ‘Stroud 32/80’ written in ink on rear cover. Map in good condition with minimal wear, but two ink arrows in margin and one small ink circle on map face. 1952.04 PFS Good Cover slightly worn and creased at edges, some minor foxing visible and spine a little rubbed. Map in good condition with minimal wear. 1956 PFS Good Cover slightly knocked at edges, and slightly creased on spine. Map in good condition with minimal wear to folds. PFI Good Cover has small nick in bottom right corner. Map in good clean condition with very little fold wear. Printed >1974. 1952.08 CFS Good Cover slightly scuffed at edges, and with a few minor ink splodges. Map in good condition, with average wear to folds and very small amount of writing in ink. 1958 PFS Very Good Cover code: ‘1-59 M’. Cover very slightly knocked at edges. Map in very good condition, with virtually no wear. 1961 PTU Good Map edges very slightly creased. Small LSE stamp in bottom right, and minor felt pen markings at top right. 1967.06 PFS Reasonable Cover scuffed and rubbed at edges. Map in reasonable condition, with some wear. 1972.05 PFI Very Good Cover very slightly scuffed. Map clean, showing minimal fold wear. 1947.07 PTU Reasonable Map previously folded, now slightly creased. Later bypass & part of M5 marked neatly in red/blue pen near bottom right of map. 1952.04 PFS Good Cover slightly knocked and worn at edges. Map in good condition, with minor signs of use but very little wear. 1958 PFS Good Cover code: ‘10-58 M’. Cover scuffed and creased at edges. Map in good condition, with minimal wear. 1960 PFU Good Map very slightly creased in places, but with only minor wear. 1973.02 PTU Very Good Map almost immaculate, very slightly knocked/creased at edges. Later OS style cover printed on rear, without sheet number/name. 1949.12 PFU Good Originally flat sheet; top & bottom have been chopped off. Slight darkening of paper evident, mostly at exposed edges. Very minimal fold wear. 1953 PFU Very Good Map very slightly creased at edges. Very minor annotation to top right and bottom right in margin. No visible wear to folds. 1959.09 PFU Very Good Colour bright, almost no wear to folds. It is, however, evident that this map once had a cover - the stubs remain attached to the map sheet. 1970 PFI Very Good Cover very slightly worn on spine. Map in very good condition with virtually no wear. PFI Very Good Cover undamaged. Map has very little wear and is in very good condition. Printed >1974. 1948.06 PFU Good Originally flat sheet. Map slightly creased, and darkened at exposed edges. Small (8cm × 16cm) piece of geological map attached to edge. 1950.12 PFU Fair ‘32/91’. Originally flat sheet. Map has been folded and refolded along different lines. Well-used appearance. PFS Good ‘32/91’. Cover has darkened apperance, worn at edges and on spine. Map has very little visible wear, but slightly dusty on some folds. c.1957 PFS Good ‘SO 91’. Cover code: ‘8 57 M’. Cover rubbed and creased at edges, two placenames written on front. Map slightly soft on folds but in good condition. 1970 PFI Good Cover slightly creased and scuffed at edges. Map in good condition with minimal wear to folds. 1948.09 CFS Reasonable Ex-library. Cover scuffed and slightly torn at edges, spine split, library details attached to inside cover. Map in reasonable condition, looking used, with plenty of fold wear. 1952.05 PTU Good Map slightly creased; minor numbering at top right and bottom right of sheet. 1972.03 PTU Good Map very slightly creased; slight brown stain across small part of map. Later OS style cover printed on rear, without sheet number/name. PFI Good Cover very slightly scuffed on spine and very slightly creased. Map in good condition with minimal scuffing and wear. 1949.12 PFU Reasonable Edges chipped and scuffed. Originally flat sheet; top and bottom have been sliced off. 1959.09 PFS Good Cover code: ‘8-62 M’. Cover slightly scuffed at top. Map clean and in good condition. PFI Very Good Very slight creasing to cover. Map in very good condition. 1948.08 PTU Good Map slightly creased; minor numbering at top right and bottom right of sheet. PFS Good Cover slightly worn at edges and on spine. Map has very little visible wear, but is very slightly dusty on some folds. 1958.03 PFS Good Cover (laminated) slightly creased. Map has some average wear to folds. c.1976 PFI Very Good Cover undamaged. Map clean and in very good condition. 1948.09 PFU Very Good Map in very good condition, with very minor insignificant creases and almost no fold wear. CFS Very Good Cover slightly knocked at edges and on spine. Map in very good condition, with very little visible wear. 1960.12 PFI Very Good Cover undamaged. Map in very good condition with almost no wear to folds. Printed >1974. 1948.12 CFS Very Good Cover slightly scuffed and torn, with 2 price labels stuck on top of each other. Map in very good condition, with average wear to folds. 1959.10 PFS Good Cover code: ‘10-59 M’. Cover slightly knocked at edges, black ink ‘GLOUCESTERSHIRE’ on front and red ink hatching (¼in²) on back. Map in good condition, slightly creased, with average wear to folds. 1949.12 CFS Good ‘42/11’. Cover slightly worn at edges, with a ‘Withdrawn from Westminster City Libraries’ stamp and 2 price stickers. Library details attached to inside cover. Map in good condition, with minimal wear to folds, and with 4 small library stamps in corner margins. c.1954 PFS Very Good ‘SP 11’. Cover code: ‘3-60—M’. Cover very slightly knocked at edges, black ink ‘GLOUCESTERSHIRE’ on front and red ink hatching (¼in²) on back. Map in very good condition, very slightly creased, with minimal wear to folds. 1961.11 PFI Very Good Cover undamaged. Map in very good condition with almost no wear to folds. 1949.11 PFU Very Good Originally flat sheet; top & bottom have been chopped off. Slight darkening of paper evident. Very little wear to folds. 1956.10 PFS Good Cover code: ‘10-58 M’. Cover slightly knocked at edges, one 13mm tear at side. Map in very good condition with virtually no wear. PFS Reasonable Cover code: ‘4-63 - M’. Cover slightly scuffed at edges. Map in good condition, but with some damage on one crease. PFI Good Cover slightly scuffed and marked on spine. Map in good condition with some very minor wear to folds. PFI Good Cover has one tiny tear, approx. 3mm long. Map in good condition with average wear to folds. 1949.07 CFS Good Ex-library. Cover scuffed at edges, library details attached to inside cover. Map in good condition, but stamped with library markings round edges. 1951.04 PFS Good Cover very slightly worn at edges, small tear on rear. Map in very good condition, slightly creased but with very little visible wear. 1958 PTU Very Good Map very slightly creased; small LSE stamp at bottom right of sheet and minor felt pen numbering at top right. 1975.04 PFI Reasonable Cover has little damage, but a small amount of writing in ink on front. Map in good physical condition, but with several footpaths and minor routes overmarked in coloured ink. 1949.02 PTU Very Good Map very slightly creased. Small archive sticker at top left of sheet. 1952.03 PFS Reasonable Neat home-made cover. Map formerly a flat sheet; quite creased at one side but in otherwise good condition. 1961 PFS Very Good Cover very slightly knocked at edges. Map in very good condition, with virtually no wear. PFI Good Cover very slightly creased and worn at edges. Map shows some average wear on folds. 1949.03 PFU Good Originally flat sheet. Map slightly creased, with some staining and paper darkening evident. 1976.07 PTU Very Good Map very slightly creased at edges. Small stamp at bottom right of sheet: “Map Collection - 22 Dec 1976 - John Bartholomew & Son Ltd.” Later OS style cover printed on rear, without sheet number/name. PFI Good In clear plastic protective sleeve. Cover in good condition, with slight wear to spine and sticker damage to rear. Map in good condition, with minimal wear. 1949.07 PTU Very Good Map slightly creased at edges. Small archive notation to very top left of sheet. 1959.06 PFI Good Previously flat sheet, now folded. Cover slightly creased at edges, sheet number and title written in pen. Map in very good condition. 1948.09 PFU Very Good Map very slightly creased, but with almost no fold wear. 1951 PTU Very Good Map very slightly creased at edges. Minor numbering at bottom right of sheet. 1959.09 PFS Good Cover code: ‘8-61– M’. Cover slightly knocked at edges, and with stamp at top. Map in good condition, with minimal wear. 1973.03 PFI Very Good Cover undamaged but stamped ‘SUPERSEDED’. Map in very good condition with minimal wear to folds. 1948.09 CFS Good Cover slightly worn at edges, with small amount of writing in ink and coloured pencil on rear. Map in good condition, with very little wear to folds. 1951 PTU Very Good Map very slightly creased. Minor numbering at bottom right of sheet. 1959.08 PFS Very Good Cover code: ‘M 1.65’. Cover very slightly scuffed at edges. Map in very good condition with minimal wear to folds. 1948.07 CFS Good Ex-library. Cover scuffed at edges, spine split, library details attached to inside cover. Map in good condition, with average wear to folds, but stamped with library markings round edges. 1952.01 PTU Very Good Map slightly creased at edges. Minor numbering at bottom right of sheet. 1959.09 PFS Good Cover code: ‘9-61—M’. Cover very slightly worn at edges and with one small tear on spine. Map in good condition, with only very minor wear to folds. 1973.10 PFI Very Good Cover excellent. Map clean and in very good condition. 1978.03 PFI Reasonable Cover damaged on front (and, more severely, on rear) by brown parcel tape. Map in generally good condition, with average wear to folds, but with damage on western side (top & bottom), again from parcel tape. 1948.10 CFS Good Cover slightly scuffed at edges, writing in ink and coloured pencil on rear. Map in very good condition with average fold wear. 1959.10 PTU Very Good Map very slightly creased at edges. ‘Revised Price 4/9 net’ stamp at bottom right of sheet. 1965 PTU Very Good 2 × LSE stamps (85mm × 35mm) at top right and bottom left of sheet, also minor felt pen numbering at top right of sheet. PFS Good Cover slightly creased and rubbed at edges, ¼-inch tear to edge of spine. Map in very good condition with some very minor rubbing to folds. PFI Good Cover very slightly creased and slightly scuffed on spine. Cover date-stamped ‘6 Dec 1975’. Map in good condition with some softening of folds and minor marking to centre vertical fold. 1983.10 PFI Very Good Cover very slightly creased on front. Map in very good condition with no visible wear. PFI Very Good Cover very slightly scuffed at edges. Map in very good condition with virtually no wear. 1989.03 PFI Very Good Cover undamaged but with previous owner’s sticker. Map in very good condition, with no visible wear. 1988.01 PFI Very Good Cover undamaged, but with ‘House of Commons Library’ sticker & stamp. Map in very good condition with almost no fold wear. 1991.06 PFI Excellent Very slight creasing to back cover. Map perfect. 1981.02 PFI Very Good Cover very slightly creased and marked. Map in very good condition, with no fold wear but some minor out-of-place creases. 1994.12 PFI Very Good Cover and map both in very good condition. 1982.06 PFI Very Good Cover slightly creased at edges. Map in excellent condition with almost no fold wear. 1991.05 PFI Very Good Cover undamaged but with ‘House of Commons Library’ sticker. Map in very good condition with very little wear. 1986.03 PFI Very Good Cover very slightly knocked on one edge. Map in very good condition, with almost no wear to folds. PFI Good Cover slightly scuffed and creased with green ink mark. Map in good condition, slightly creased, with minimal fold wear. PFI Very Good Cover very slightly creased in places. Map in excellent condition. PFI Excellent Cover and map virtually undamaged. 1985.03 PFI Good Cover scuffed and creased. 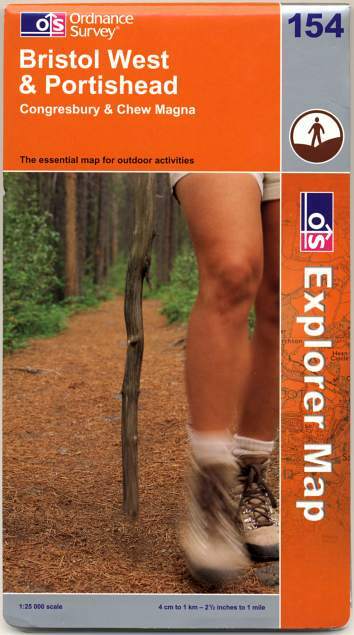 Map well-used, but not grubby, with plenty of fold wear. PFI Good Cover slightly scuffed and creased. Map in good condition. 1985.03 PFI Reasonable Cover creased and slightly grubby in places. Map has some wear to folds and one 1-inch tear at fold intersection. 1991.05 PFI Good Cover slightly creased and scuffed. Map in very good condition. 1978.04 PFS Very Good Cover very slightly knocked at edges. Map in very good condition, with no visible wear. 1991.10 PFI Very Good Cover very slightly creased. Map in very good condition, with almost no wear. 1983.12 PFI Good Cover very slightly scuffed at edges, slight surface damage in places. Map in good condition with very little visible wear. PFI Good Cover very slightly scuffed at edges and slightly marked on rear. Map in good condition, with some minor scuffing to folds. PFI Very Good Cover very slightly knocked at edges. Map in very good condition with no visible wear. 1981.03 PFI Very Good Cover undamaged. Map in very good condition, with no visible wear. 1992.07 PFI Very Good Cover slightly scraped at edges. Map in very good condition. 1983.10 PFI Reasonable Cover slightly rubbed at edges, slight darkening to spine, highlighter and ink annotation to front cover. Map in good condition with virtually no wear, but previous owner’s stamp to rear of sheet. 1980.02 PFI Good Cover very slightly rubbed at edges, slight darkening to spine. Map in very good condition with virtually no wear, but previous owner’s stamp to rear of sheet. 1992.11 PFI Good Cover very slightly creased and slightly rubbed at edges. Map in very good condition with minimal wear. 1976.09 PFS Good Cover very slightly rubbed at edges and slightly creased, some surface damage from price sticker. Map in very good condition with virtually no wear. PFI Good Cover very slightly rubbed at edges, some minor foxing visible on spine. Map in very good condition with minimal wear. 1991.04 PFI Good Cover very slightly knocked and creased on edges. Map in good condition with some minor scuffing to folds and one very small pinhole at fold intersection. PFI Excellent Cover and map in almost pristine condition. 1987.03 PFI Reasonable Cover very slightly rubbed at edges, highlighter and ink annotation to front cover. Map has some minor scuffing to folds, and highlighter pen overmarking of M4, and some minor routes, placenames and an airfield in the SE corner of the map. 1994.08 PFI Very Good Cover very slightly rubbed at edges and very slightly creased on one corner. Map in very good condition with no visible wear. 1984.09 PFI Very Good Cover very slightly knocked at edges. Map in very good condition, with very little wear. 1994.10 PFI Very Good Cover very slightly creased at top of rear. Map in excellent condition, with no visible wear. 1983.08 PFI Very Good Cover very slightly scuffed at edges. Map in very good condition, with virtually no wear. 1990.05 PFI Very Good Cover very slightly creased on rear. Map in very good condition, with virtually no wear. 1981.07 PFI Very Good Cover virtually undamaged. Map in very good condition with some minor scuffing to folds. 1995.10 PFI Very Good Cover very slightly creased on spine. Map in very good condition with virtually no wear. 1987.07 PFI Very Good Cover undamaged. Map in very good condition, with almost no fold wear. 1984.10 PFI Very Good Cover very slightly knocked at edges. Map in very good condition, with very minor scuffing to fold intersections. PFI Very Good Cover very slightly marked by price sticker, and very slightly creased. Map in very good condition with no marks and virtually no wear. 1983.08 PFI Very Good Cover very slightly creased. Map in very good condition, with almost no fold wear, but two stamps at bottom: ‘Superseded edition’ and ‘Maps’, with ‘C16 12’ pencilled in. PFI Good Cover slightly creased. Map in good condition, slightly limp, with a little very minor scuffing. 1990.11 PFI Very Good Cover slightly creased at edges, with slight tear, and ‘House of Commons Library’ sticker & stamp. Map in very good condition with almost no fold wear. PFI Very Good Cover undamaged. Map in very good condition, with almost no fold wear. 1982.07 PFI Very Good Cover very slightly creased. Map in almost new condition - no fold wear - with only very slight creasing. 198_ PFI Good Cover very slightly creased, and with some minor notation. Map in good condition, slightly creased, and with several pencil markings. 1990.11 PFI Very Good Cover very slightly knocked on one edge, and ‘House of Commons Library’ sticker & stamp. Map in very good condition with almost no fold wear. PFI Very Good Cover very slightly knocked at edges, and number ‘20’ written in ink at top right. Map in very good condition with virtually no wear. 1982.07 PFI Very Good Cover very slightly creased. Map in very good condition, with virtually no wear. 1988.10 PFI Very Good Cover very slightly scraped at edge. Map in very good condition, with very little wear to folds. 1983.03 PFI Good Cover very slightly creased in bottom-left corner. Map in very good condition, with virtually no wear to folds. 1988.03 PFI Very Good Cover very slightly knocked at edges. Map in very good condition, with almost no fold wear. 1975.11 PFS Very Good Cover very slightly knocked at edges, and with small sticker. Map in very good condition, with some very minor wear to fold intersections. 1983.01 PFI Excellent Cover and map in excellent undamaged condition. 1991.03 PFI Good Cover slightly knocked at edges and creased. Map in good condition, slightly creased, and with only minor wear to folds. 1982.06 PFI Very Good Cover very slightly knocked at edges. Map slightly strangely-folded, but in very good condition with virtually no wear. 1988.06 PFI Very Good Cover undamaged but with ‘House of Commons Library’ sticker. Map in very good condition, very slightly creased in places on top edge, but with no visible wear. PFI Excellent Cover undamaged. Map in excellent condition, with virtually no wear. 1992.06 PFI Very Good Cover slightly knocked at edges. Map in very good condition, with very little fold wear. 1977.03 PFS Good Cover slightly knocked and creased at edges. Map in good condition with minor scuffing to some folds. c.1979 PFS Good Cover creased and knocked at edges, surface lamination lifting on rear edges. Map in good condition with some scuffing to folds. 1983.03 PFS Very Good Cover very slightly knocked and creased at edges. Map in very good condition. PFS Good Cover slightly knocked and creased at edges. Map in good condition with minor scuffing to some folds. 1983.12 PFS Very Good Cover very slightly knocked and creased at edges. Map in very good condition with virtually no wear. PFS Good Cover creased at bottom edge, scuffed on surface. Map in good condition with some minor scuffing to folds. 1988.02 PFS Very Good Cover slightly knocked and creased at edges. Map in very good condition with virtually no wear. 1992.02 PFS Very Good Cover very slightly knocked and creased at edges. Map in very good condition with only minor scuffing to folds. 1994.01 PFS Good Cover slightly creased and knocked at edges. Map in good condition with minor scuffing to a few folds. 1997.02 PFS Very Good Cover very slightly knocked at edges. Map in excellent condition. PFS Very Good Cover slightly scuffed and creased at edges. Map in very good condition with virtually no wear. PFS Very Good Cover very slightly creased at bottom edges. Map in excellent condition. 1998.02 PFS Very Good Cover very slightly knocked and creased at edges. Map in very good condition, although mounted upside-down! PFS Very Good Cover very slightly knocked at edges. Map in excellent condition. 2002.03 PFS Very Good Cover slightly creased and knocked at edges. Map in very good condition. PFS Very Good Cover slightly knocked at edges and corners. Map in very good condition. PFS Excellent Cover very slightly knocked at edges. Map in excellent condition. PFS Very Good Cover very slightly creased at edges, very slight damage from sticker to front. Map in excellent condition. 2005.10 PFS Very Good Cover very slightly knocked at edges. Map in very good condition with no visible wear. LFS Excellent ‘Active’ edition [pub. 13 March 2006]. Cover and map in excellent condition. 2009.08 PFS Very Good Cover slightly knocked and creased on corners. Map in excellent condition. LFS Excellent ‘Active’ edition. Cover and map virtually undamaged. 2015.05 2015.06 PFS Excellent Cover and map in excellent condition. LFS Excellent ‘Active’ edition. Cover and map in excellent condition. 2002.03 PFS Very Good Cover very slightly knocked at edges. Map clean and in very good condition, with just some slight creasing at top of sheet. PFS Excellent Cover and map in undamaged condition. 2003.01 PFS Excellent Cover very slightly knocked at edges. Map clean and in excellent condition. PFS Very Good Cover slightly scuffed at edges. Map in excellent condition. PFS Excellent Cover and map undamaged. PFS Excellent Cover and map virtually undamaged. PFS Very Good Cover very slightly knocked and creased at edges. Map in excellent condition. LFS Excellent ‘Active’ edition [pub. 13 March 2006]. Cover very slightly creased on edges. Map in excellent condition. 2009.11 PFS Very Good Cover very slightly creased at edges. Map in excellent condition. LFS Excellent ‘Active’ edition. Cover very slightly creased at edges. Map in excellent condition. 2015.05 2015.06 PFS Excellent Cover very slightly creased at corners. Map in excellent condition. LFS Very Good ‘Active’ edition. Cover creased at lower left edge. Map in excellent condition. 1998.07 PFS Good Cover scuffed at edges and slightly creased in places. Map in good condition with some very minor scuffing to folds. PFS Good Cover slightly scuffed and creased at edges. Map in good condition with some very minor scuffing to folds. 2004.11 PFS Good Cover scuffed, knocked and slightly creased at edges. Map in very good condition with virtually no wear. 2005.05 PFS Very Good Cover very slightly creased at edges, some light surface scuffing to left front. Map in excellent condition with virtually no wear. LFS Excellent Cover very slightly creased at edges. Map in excellent condition. 2010.04 PFS Very Good Cover very slightly knocked and creased at edges. Map in excellent condition. 1997.08 PFS Good Cover knocked and slightly creased at edges. Map in very good condition. PFS Very Good Cover only very slightly knocked at edges. Map in very good condition, with virtually no wear. 2004.11 PFS Very Good Cover slightly knocked and creased at edges. Map in excellent condition. 2005.06 PFS Very Good Cover slightly knocked at bottom edge. Map in excellent condition. LFS Very Good ‘Active’ edition [pub. 13 March 2006]. Cover slightly creased at edges. Map in excellent condition. PFS Very Good Cover creased and knocked at edges, very small tear to rear. Map in excellent condition. 2007.10 PFS Excellent Cover and map virtually undamaged. PFS Excellent Cover very slightly creased on bottom corners. Map in excellent undamaged condition. LFS Excellent ‘Active’ edition. Cover very slightly knocked on bottom edges. Map in excellent condition. 1999.01 PFS Good Cover slightly knocked at edges, slight surface indentation in places. Map in good condition, slightly creased in places. PFS Very Good Cover slightly knocked at edges. Map in very good condition. 2004.11 PFS Very Good Cover very slightly knocked and creased at edges. Map in excellent condition. PFS Very Good Cover slightly knocked and creased at edges. Map in excellent condition. LFS Very Good ‘Active’ edition [pub. 13 November 2006]. Cover very slightly creased at edges. Map in excellent condition. 2007.08 PFS Very Good Cover slightly creased and knocked at edges. Map in excellent condition. LFS Very Good ‘Active’ edition. Cover very slightly knocked at edges. Map in excellent condition. 1998.03 PFS Very Good Cover very slightly knocked at edges and corners. Map in very good condition with virtually no wear. PFS Very Good Cover very slightly creased at corners. Map in very good condition. PFS Very Good Cover very slightly knocked at bottom edge. Map in excellent condition. LFS Very Good ‘Active’ edition [pub. 13 March 2006]. Cover and map in very good condition. 2008.07 PFS Very Good Cover very slightly knocked and creased at edges. Map in excellent condition. LFS Very Good ‘Active’ edition. Cover very slightly creased at edges. Map in excellent condition. 1998.10 PFS Good Cover slightly knocked and creased at edges and corners. Map in good condition with almost no wear. PFS Good Cover scraped at edges and slightly creased. Map in very good condition, with virtually no wear. 2004.11 PFS Very Good Cover very slightly knocked at edges. Map in excellent condition. PFS Very Good Cover slightly knocked at edges and slightly scuffed. Map in excellent condition but partially detached from cover. LFS Excellent ‘Active’ edition [pub. 13 November 2006]. Cover very slightly creased at edges. Map in excellent condition. 2009.03 PFS Very Good Cover slightly creased at edges. Map in excellent condition. LFS Very Good ‘Active’ edition. Cover slightly creased at edges. Map in excellent condition. 1998.03 PFS Good Cover slightly knocked and creased at edges. Map in very good condition, with no visible wear. PFS Very Good Cover slightly creased and knocked at edges. Map in excellent condition. 2006.01 PFS Very Good Cover slightly creased at edges. Map in excellent condition. PFS Excellent Cover very slightly knocked on spine and rear. Map in excellent condition. 1998.03 PFS Excellent Cover very slightly knocked on one corner. Map in excellent condition. 2001.11 PFS Very Good Cover very slightly scuffed at edges. Map clean with only very minor fold scuffs. 2006.01 PFS Excellent Cover and map undamaged. LFS Very Good ‘Active’ edition [pub. 13 November 2006]. Cover and map in undamaged condition. LFS Excellent ‘Active’ edition [pub. 13 November 2006]. Cover and map virtually undamaged. 1998.06 PFS Good Cover slightly scuffed at edges. Map clean with some fold scuffs. PFS Excellent Cover very slightly knocked at edges. Map clean and in excellent condition. 2006.01 PFS Very Good Cover very slightly creased at edges. Map in excellent condition. PFS Excellent Cover and map in excellent condition. LFS Very Good ‘Active’ edition [pub. 13 November 2006]. Very slight ‘bubbling’ of lamination at edges of front cover. Map in excellent condition. 2009.04 PFS Excellent Cover very slightly creased on corners. Map in excellent condition. 2015.09 2015.09 PFS Excellent Cover very slightly knocked at corners. Map in excellent undamaged condition. 1999.01 PFS Very Good Cover very slightly knocked at edges. Map in very good condition with very little fold wear. PFS Good Cover slightly creased and slightly knocked at edges. Map in good condition with minimal wear. PFS Very Good Cover very slightly knocked at edges. Map in very good condition with virtually no wear. 2006.01 PFS Very Good Cover very slightly scuffed. Map in excellent condition. PFS Excellent Cover slightly creased on one corner. Map in excellent condition. 2009.04 PFS Excellent Blue ‘Ordnance Survey’ on cover spine. Cover very slightly knocked on corners. Map in excellent condition. LFS Excellent ‘Active’ edition. Blue ‘Ordnance Survey’ on cover spine. Cover and map in excellent condition. PFS Excellent Cover very slightly knocked on rear edges. Map in excellent condition. 1998.08 PFS Very Good Cover very slightly knocked and creased at edges. Map in very good condition, with no signs of use. 1999.11 PFS Very Good Cover slightly scuffed and creased at edges. Map clean and in excellent condition. PFS Very Good Cover slightly rubbed at edges and slightly creased. Map in excellent condition. PFS Excellent Cover virtually undamaged. Map in excellent condition. 2005.11 PFS Excellent Cover and map virtually undamaged. 2008.10 PFS Very Good Cover very slightly knocked and creased at edges. Map in excellent condition. 1999.01 PFS Good Cover slightly knocked at edges. Map in very good condition, with some very minor signs of use. PFS Very Good Cover very slightly knocked at edges. Map in very good condition. 2001.05 PFS Very Good Cover slightly scuffed at edges. Map in excellent condition. PFS Excellent Cover very slightly knocked in places. Map in excellent condition. 2006.02 PFS Very Good Cover slightly knocked at edges. Map in excellent condition. LFS Very Good ‘Active’ edition [pub. 13 March 2006]. Cover very slightly creased at edges. Map in excellent condition. 2009.10 PFS Excellent Cover very slightly knocked at edges. Map in excellent condition. LFS Excellent ‘Active’ edition. Cover and map in excellent undamaged condition.